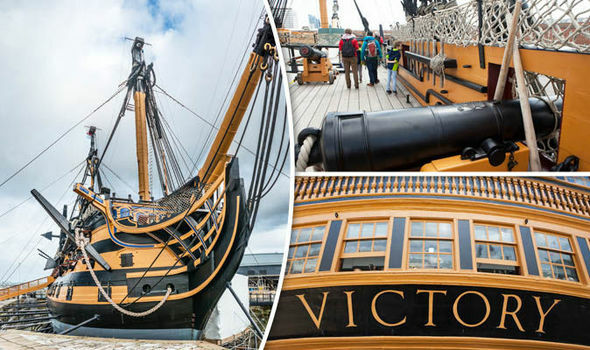 HMS Victory, one of the most famous ships of all time, was instrumental in ensuring the supremacy of the British Naval in the late 18th and the early 19th centuries. Being the only surviving warship to have fought in the French Revolutionary War, the American War of Independence, and the Napoleonic Wars, the HMS Victory ship is arguably the most famous ship ever to be built. It had an imposing first-rate Royal Navy ship of the line – the line warfare characterized by two lines of opposing vessels that were attempting to outmanoeuvre each other to bring their broadside cannons into the best range and angle – HMS Victory was always an oceanic behemoth as it had 104 multiple-ton cannons, three massive gun decks, a cavernous magazine, and a crew of over 800. This was a vessel capable of blowing away even the largest enemy ships out of the water with its magnificent ferocity and range, while it could also outrun and outmanoeuvre other aggressors. This tall ship’s overall length from its bowsprit to taffrail was 226 feet 6 inches, the breadth 51 feet 10 inches, and the depth 21 feet and 6 inches. As for the tonnage, this tall ship weighed 2,196.6 metric tons and displaced 3,556 metric tons of water. During the Battle of Trafalgar, it was armed with 104 cannons and crewed by 821 sailors. Currently, only one cannon remains as the weight of all of them could damage the ship in the dry dock. For building the HMS Victory, over 6,000 trees had to be cut down. Out of these 6,000, almost 90% were oak while the remaining percentage consisted of pine, fir, elm, and lignum vitae. Even though it was built to be a major player in the British fleet, this ship remained moored in the River Medway for over 13 years until the French joined the American War of Independence in 1778. It was then activated in response to the attacks of the French that helped keep the majority of the Royal Navy on that side of the Atlantic. This tall ship had 37 sails flying that covered a total surface area of almost 5,400 square yards. 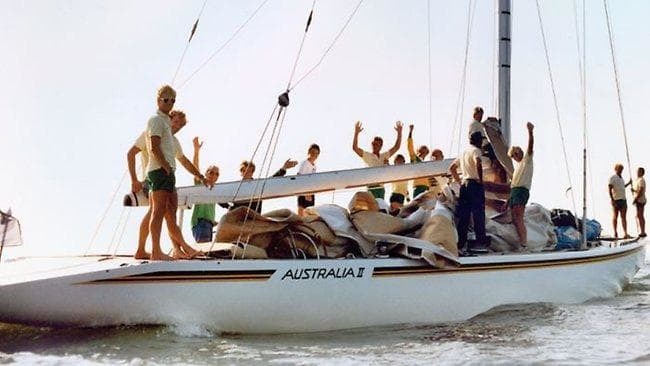 It was able to sail at around 10 mph which was pretty fast for its day. 26 miles of rigging was required for the HMS Victory and 800 pulley blocks were needed to operate the rigging, and lowering and raising the anchor. Why was it named the HMS Victory? HMS Victory was named after multiple victories of the British against the French prior to the ship’s commissioning. 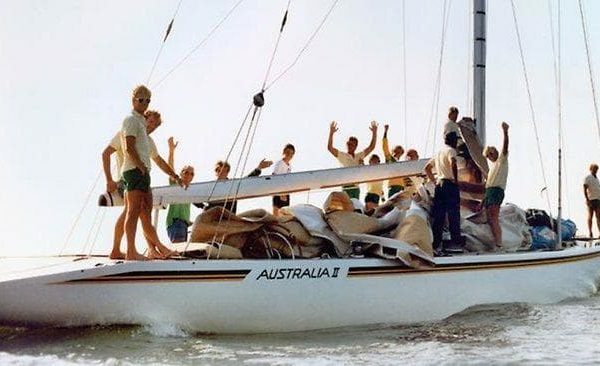 The crew wasn’t allowed to drink water on board instead they had to resort to wine or beer. They did eat meat but it was tough eating meet as it used to become really hard as a result of being stored in large barrels of salt. In the year 1780, the bottom of the HMS Victory ship was covered with approx. 3,900 sheets of copper with the purpose of protecting the ship below the waterline from shipworms. Those were the molluscs that would bore into the wood and weaken it over time. 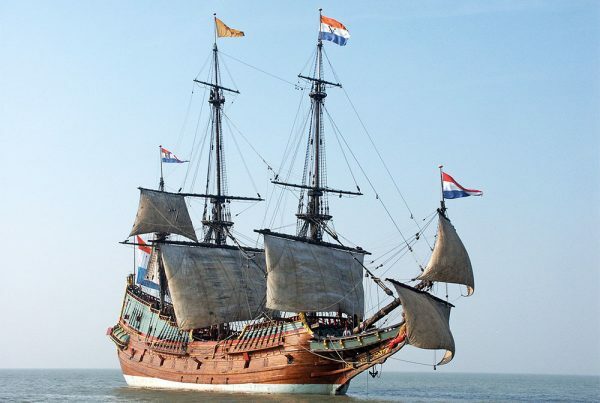 As a part of the conflicts with the French during the Revolutionary War, this ship was part of the British Fleets in the First as well as the Second Battles of Ushant. It had also participated in the battle against Spain and France as a part of the Siege of Gibraltar in 1783 and also in the Battle of Cape St. Vincent in 1797. It is the only surviving ship to have a participant in the American War of Independence, the Napoleonic Wars, and the French Revolution. Given its pedigree, it is strange to think that two years after Trafalgar, this ship was deemed to be too old and in disrepair to be considered as a first-rate ship. It was later made into a second-rate ship and thirty of the guns were removed. By the year 1831, the Admiralty made it clear they wanted to break up this ship and use its timber for other ships but this historic vessel was spared after a public outcry. It began to be used as a training ship until 1922 when it was moved to Portsmouth. It has existed there as a museum ship ever since. Even to this day, those who wish to see the HMS Victory in person can find it at the No. 2 at the Portsmouth Historic Dockyard. It opens at 10 AM every day (except the holidays) and requires a Full Navy ticket, which also grants access to other ships in the dockyard, a Harbour Tour, and an entrance to the National Museum of Royal Navy, Portsmouth. Seacraft Gallery is a leading supplier of handcrafted wooden model ships and boats. 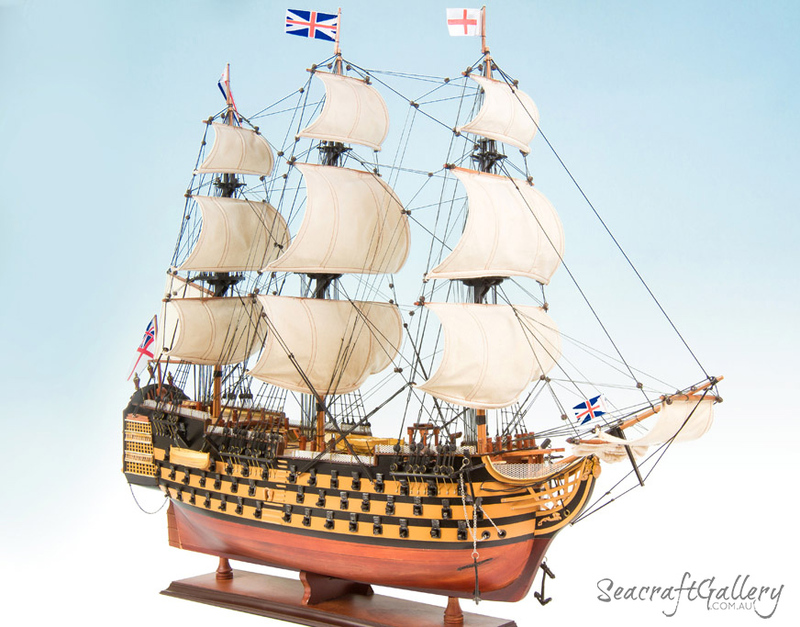 We have museum-quality HMS Victory model ships in variable sizes 45cm, 75cm and 95cm with timber and painted finish. Contact us today for your inquires! 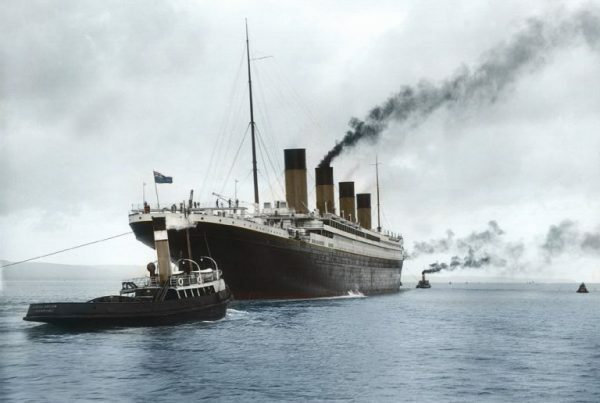 12 Secret Facts of Titanic probably you never knew!